On January 22, 2019 the City of El Reno welcomed their new City Manager, Jeremy Frazier. Mr. Frazier’s experience in public administration is extensive, over the last decade he has served as an Assistant City Manager in the cities of Cushing and Newkirk, Oklahoma, a statewide local government Retirement Plan Administrator, and Budget Coordinator at the 2nd largest state agency, the Oklahoma Health Care Authority. While at the Oklahoma Municipal Retirement Fund, Mr. Frazier assisted in the administration of a statewide municipal retirement trust which serves over 220 cities and towns throughout the state of Oklahoma and has assets exceeding 800 million dollars. His major focus areas include fiscal strength and sustainability, economic development, business/government/education coordination and collaboration, water resources and transportation. In his most recent role of Emergency Management Director and Community Services Supervisor for the City of Muskogee, he has worked with FEMA and the State of Oklahoma Emergency Management to submit grants and damage reimbursements for State/Federal funding. 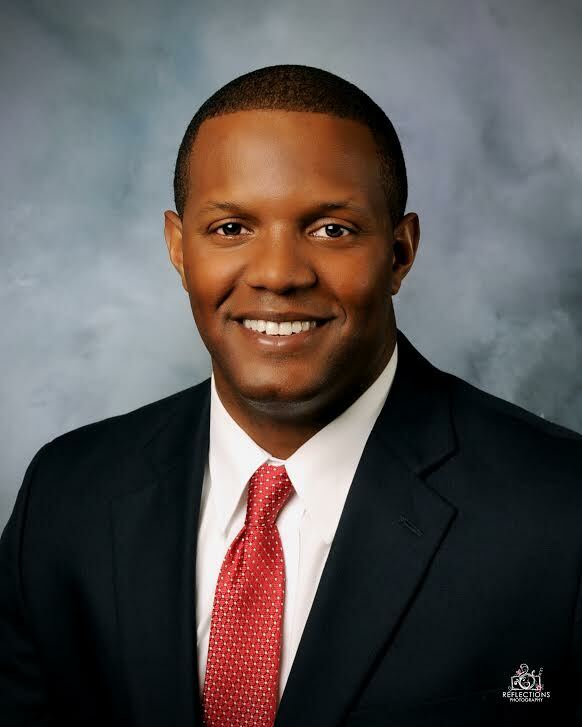 Mr. Frazier attended the University of Oklahoma, where he earned his bachelor's degree in Communications and the University of Central Oklahoma where he earned a master's degree in Political Science with an emphasis in Public Administration. While attending graduate school, Mr. Frazier was selected as a recipient of the highly competitive and prestigious Carl Albert Graduate Fellowship program. Mayor Matt White was elected to serve as the League’s District 8 board representative, which serves Oklahoma, Canadian, Cleveland, and Logan counties. Board President Randy Ross said that White was recommended to this position from a group of 10 nominees because of his strong leadership skills, previous involvement with OML activities and committees, along with his enthusiasm of OML goals and objectives. White said that he is very excited to be a part of the OML board and to serve not only the cities and towns within District 8, but, the entire state in areas that are most important to them. “It is really an honor to be a part of such a great group. I love the direction that the board of directors, Executive Director Mike Fina, and his staff are taking OML and I am eager to be a part of such an important focus regarding the advancement of cities and towns throughout Oklahoma,” White said. February 2, 2019 – 11:00 a.m.
Join us for our Lego Club! The first Saturday of the month, except in May and for holidays, we have our Lego Club! It is for all ages. We will build Lego creations and they will be displayed for the entire month in our children's department. Your first visit you will get a Lego club card. Bring it each time and get punches and get prizes! February 5, 2019 – 7:30 a.m.
February 7, 2019 – 10:00 a.m.
100 S. Rock Island Ave.
Food, formula and diapers for families in crisis with children ages 0 to 4. Baby Mobile will be here from 10:00 am to 2:00 pm. February 8, 2019 – 7:00 p.m.
Get ready to Rock and Roll all night at our fun two night 80's Night Dance Parties. Dress 80's prom, 80's casual, or just normal dance attire. We will have refreshments and photos and a great playlist! The dance on Friday night is for for the Daddys and Daughters and Saturday night is for the Moms and Sons. This event is open to all of El Reno and more! Tickets are $20 for a pair, and $5 for an add on! February 9, 2019 – 7:00 p.m.
February 21, 2019 – 7:30 a.m.
Mayor Matt White and Superintendent Craig McVay invite you to join the City of El Reno and El Reno Public Schools for a town-hall style meeting and breakfast. You’ll hear from guest speakers, get updates on upcoming projects, ask questions and have the opportunity to discuss what you’re working on. February 22, 2019 – 1:00 p.m.
January 23, 2019 – 2:00 p.m.